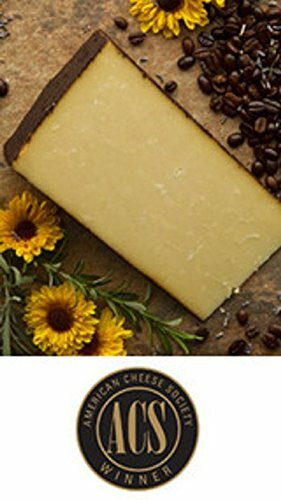 Unique espresso and lavender hand-rubbed cheese with subtle notes of butterscotch and caramel. Made from the milk of jersey cows; this is a full-bodied cheese with a smooth, creamy texture. Barely buzzed is our most popular cheese and is considered by many to be a great American original.